This column was written by Ying Ma. The indignant condemnations came quickly for Google. Last week, news surfaced that the company was blocking access to certain politically sensitive terms and websites on its new China site. Since then, Congressman Congressman Chris Smith, R-NJ has accused Google — which boasts "Don't Be Evil" as its corporate motto — of enabling evil. Reporters Without Borders has denounced Google for hypocrisy. Pundits have lambasted Google for kowtowing to a corrupt, authoritarian regime. Unable to resist China's vast market potentials itself, or the clear benefits of free trade, Congress is flabbergasted that every high tech and Internet company doing business in China has not taken up the mantle of ending Beijing's authoritarian rule. The Congressional Human Rights Caucus condemned such companies at a briefing on Internet freedom in China on February 1 and the House Subcommittee on Human Rights plans to do the same at a hearing on the same topic on February 16. Human rights advocates are pressing for legislation establishing a code of conduct for Internet companies working in countries deemed repressive by the State Department's annual human rights reports. Google's effort to make money in the Chinese market now appears positively dirty. The company's defense that making some information and services available is better than making none available has been scoffed at as a nauseating rationalization. Ironically, what Google is saying is not so different from what Congress — supported by successive Republican and Democratic administrations — said when it granted China PNTR. After all, the U.S. government concluded then that doing business with the Chinese Communists was an aggregate good for the U.S. economy. It also argued that promoting economic engagement with China, even without promises of political liberalization in return, was better for the Chinese people than doing nothing at all. President George W. Bush, for instance, stated in 2002 that "China's entry into the WTO will bring other benefits beyond the expected economic benefits" and provide the crucial underpinning for democratic reform. 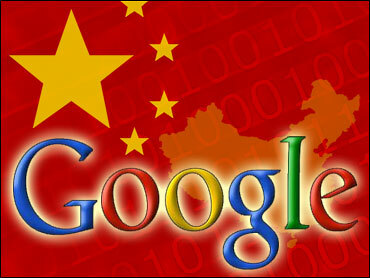 Unfortunately for Google, many do not seem to remember the grand bargain the U.S. government struck with China in 2000. Lawmakers and human-rights groups only recall that the information revolution was supposed to come crashing down on China's antiquated instruments of authoritarian control. After all, in lobbying for China's entry into the WTO, President Bill Clinton promised Congress that the Internet would serve as a harbinger of democracy in China. Yet the Communist party in China has refused to roll over upon the Internet's arrival: it has acquired sophisticated technology (including some from American high-tech companies) to censor Internet content while intimidating both Western and domestic companies to engage in self-censorship. Washington, shocked that authoritarian leaders will do what they must to survive, is utterly scandalized. Frustrated with the resilience of Chinese authoritarian rule, members of Congress have anointed Western businessmen (without their consent) as freedom fighters and have declared irrelevant their responsibility to maximize shareholder value. Congressman Tim Ryan, D-OH, asserted in a statement that "American citizens and lawmakers have every right to demand that U.S. companies advance freedom rather than oppression." Similarly, Congressman Chris Smith, R-NJ, instructed Google, "Human rights should trump profits." These compromises are not pretty, but they are not necessarily corrupt. The Chinese Internet, with no small help from American capital and know-how, has become one of the most exciting mediums in Chinese society. Though terms such as freedom and democracy are censored, the Internet nevertheless makes known the Chinese people's thoughts on and responses to everything from the pain of unemployment to the exhilaration of entrepreneurship, from the frustration of urban pollution to the confusion of Internet romance. No one knows if the partial opening of China to Western information and values will ultimately deliver China into freedom's sweet embrace. Google is hoping that it will. Ying Ma is a National Research Initiative Fellow at the American Enterprise Institute. Between 2000 and 20001, she managed corporate communications for Sina.com, the first Mainland Chinese company to be listed on the Nasdaq stock market.